Corruption and injustice have been with us forever. Cases of institutions deceiving and taking advantage of marginalized people so frequently appear in national headlines that people are no longer surprised. The Netflix original documentary series Dirty Money destroys even the smallest trace of hope one may have for mankind episode by episode. The documentary reveals incidents of deceit without remorse, plainly illustrating the institutional monsters capitalism has given birth to. 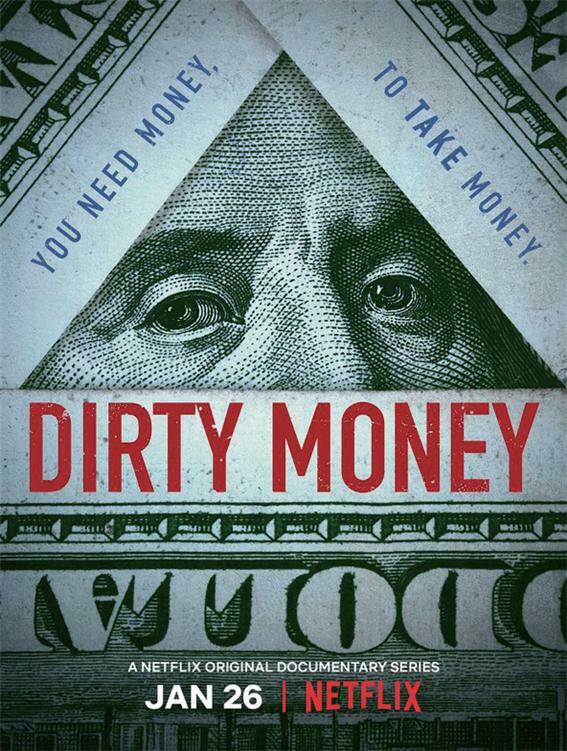 Dirty Money is a six episode documentary that does not unravel like a television drama. Rather, each episode has a different style and is directed by different people, all united by their illustration of one overlying theme— capitalism’s manipulation of the weak. The first episode starts with Volkswagen (VW) falsely packaging its automobiles as “clean diesel cars,” thus maximizing profit and avoiding environmental regulations. After their fraud was revealed, customers were horrified at the company’s attempt to deceive the whole world. The viewers’ belief in encouraging good and punishing evil is crushed upon realizing VW still achieved its goals and has proven that committing a crime may be profitable, even when found out. In a similar way, the smallest inkling of trust is gradually demolished as the audience starts to realize that the social structure is carefully crafted to take advantage of those “living paycheck to paycheck.” The following episodes discuss payday lending, Mexican cartels and businessman Donald Trump, all clearly demonstrating that the weak are exploited in every possible sector of society, and that unethical behavior is permitted in the name of business. Scott Tucker, a star car racer and the founder of payday lending business CLK management, says in the second episode “I am just doing business,” clearly rationalizing his unethical actions. However, the most horrifying aspect of the episode is that his onscreen rationalization is quite convincing. The second episode examines how payday lending preys on desperate people who do not have anywhere else to borrow money from. The contracts between the customer and the company are intentionally written in a convoluted manner to prevent the customers from paying the money back on time, making them pay additional fees. Furthermore, collusion with Native American tribes, which are relatively free from the United States law, allows the company to avoid legal consequences, making the audience feel unprotected even by the legal systems. Unlike VW, this payday lending company is a relatively small institution run by Scott Tucker and his brother. This rather angers the viewers as they realize that they are manipulated even by the smallest companies. The following two episodes, respectively featuring a pharmaceutical company’s unrealistic price increase and Mexican cartels, all discuss how money actually murders people. The pharmaceutical company Valeant has exclusive rights over a cure and exponentially increases its price, killing off the people who actually need the medicine in the first place. Likewise, Mexican cartels can continue kidnapping and killing innocent people with their money safely under the care of Jong Kong and Shanghai Banking Corporation (HSBC). The audience’s horror peaks in this period as the documentary explicitly reveals both institutions are indirectly killing the poor and innocent. After the fifth episode about maple syrup theft which is relatively less heavy, the last episode nicely sums up this train of hopelessness. 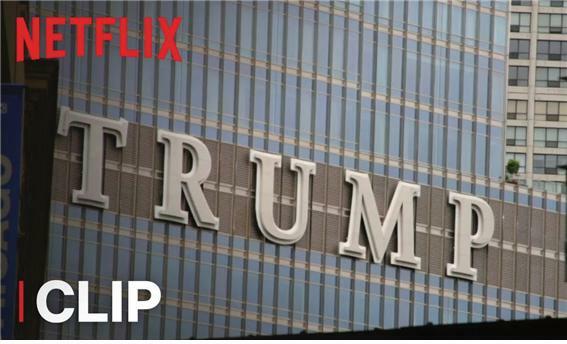 The sixth episode investigates Donald Trump and how he and his company deceived their customers while keeping his image as a billionaire superstar through the media. The disclosure of Donald Trump’s fraud is devastating because the office of the President has a symbolic meaning. The fact that the leader of the most powerful nation, and possibly the whole world is a liar, strips all hopes of protection and security. Along with its clever order of episodes, the documentary does a marvelous job of mixing emotion and reason. Documentaries, by nature can become overly emotional and one-sided, but Dirty Money investigates both sides with relative impartiality. In each episode, people from both sides appear and explain their stance thoroughly. In the fifth episode, Netflix shows interviews from both pro-union and anti-union producers of maple syrup. They all have reasons to support their argument, allowing the audience to decide and understand the situation on factually neutral ground. It was evident that Netflix has put significant amount of effort in contacting the numerous professionals that can assist in the explanation. The emotional part is achieved through personal interviews or narrations and the ending. The first episode, the narrator himself is the buyer of VW. His voice as a direct victim of VW fraud, effectively approaches the audience in the emotional way. Similarly, interviews and voice clips of people who were directly harmed in this power dynamic appeared often in the documentary. The vivid anger and panic that clearly appeared in their shaking voices can be quite exasperating for the audience. The ending throws meaningful questions and appeals to emotion by showing suffering children and family members. The first and the second episode both mentioned suffering children of, ironically, both the swindler and their victim. The emotional endings and abundant details achieved through meticulous investigation allow the audience to understand the fraud incident inside and out. Simultaneously, the touching and angering questions the narrator throws—whether such behavior should be tolerated because of money despite the number of people sacrificed— may stay in the audiences’ hearts. Truly, ignorance is bliss. A happy and hopeful view of the world is healthier for the mind and body. After the ending credits of the sixth episode goes up in the screen, the viewers will rather hope that the series is just one huge work of fiction huge drama. However, more people should know and be outraged. Unless people act as a group the rich will never care. Change will never be achieved without knowledge, and that is why this documentary is recommended despite its bleak outlook.